Do you have a process in place to effectively scale when new challenges and demands are thrown your way? When your IT staff is working overtime unexpectedly, it’s a sign that your business is growing. Success means an increase in numbers, however this can become overwhelming when you see big growth statistics in a short period of time. Like the old saying goes, it’s important to be able to see the forest from the trees, especially in times of change. Don’t let the tree metaphor trick you into thinking this only applies to those working in agriculture! 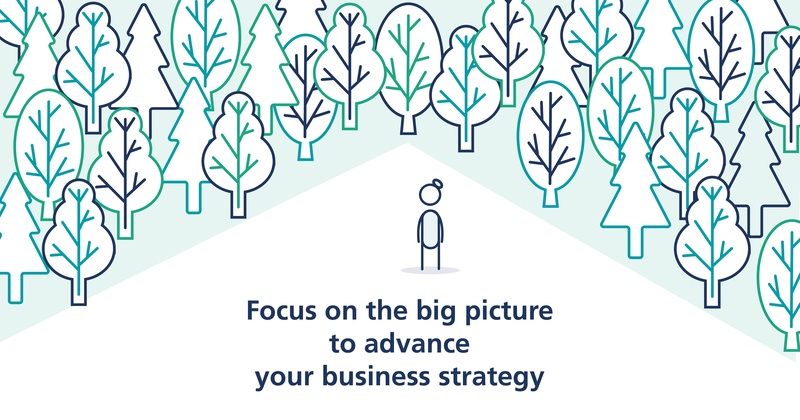 If you’re in finance, real estate, or any service industry, you’ve got to be able to energize your perspective to think about that treeline in the forest. Don’t spend your team’s precious time looking backward to keep doing it the way it’s always been done. Invest in thinking future forward. Technology and digital is the backbone for most competitive industries, however IT is not your core business. How can you best leverage your limited, highly skilled internal team to think of new ways to innovate and automate your business? What partner can you trust to keep the lights running and make sure all workstations are performing well? While time management is essential, keeping on top of timelines and deadlines can be a struggle. Position yourself with a trustworthy IT partner so that you can lean on them to take care of your basic IT needs. As you build a relationship with your IT partner, you need to get in sync on the process with trust and respect, accountability and transparency. Intentionally foster employee productivity: Overtime doesn’t always equal productivity. Your IT team is tired of working overtime. In fact, they’re working overtime and still not working quick enough. The right IT partner can cut your IT deployment time down from 2-3 weeks to 2-3 days. Saving the time means your energy can be spent on strategy and bigger business goals. When your team is bogged down with user ready IT demands, they don't have the capacity to innovate. Their time, and your money, isn't well spent missing opportunities to build smart, sustainable solutions.